The culture is now changing within the University of the Philippines community. The sports program of the University of the Philippines has always been a cut above the rest. In the UAAP, the school has won countless medals in events like badminton, table tennis, swimming, dance sport, and martial arts. But for years, the basketball program was left behind. 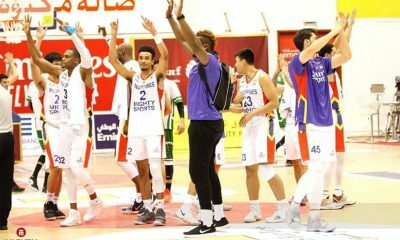 But with the entry of boosters like Dan Palami and the No Where to Go but UP foundation, the basketball program is slowly, but surely, getting up there. 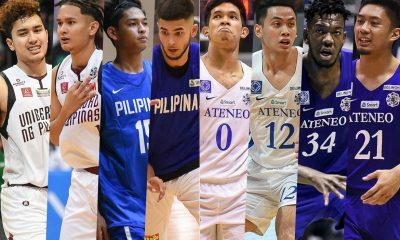 After going winless during the 76th season of the league, the Men’s Basketball team broke their 27 game losing streak during Season 77. A year later, they won three games. Then this season, the team has won five games — a 10-year high for UP — with a game remaining in their schedule. And with the resurgence of the program comes the attention. As the season progressed, fans clad in Maroon grew and grew. 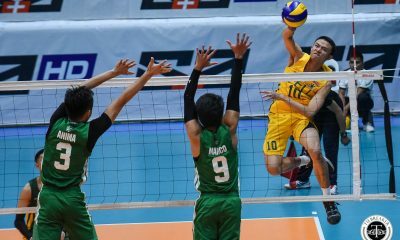 Sunday afternoon, the Iskos and Iskas filled up almost three-quarters of the Filoil Flying V Centre, and it was a sight to behold, according to first-year UP head coach Bo Perasol. 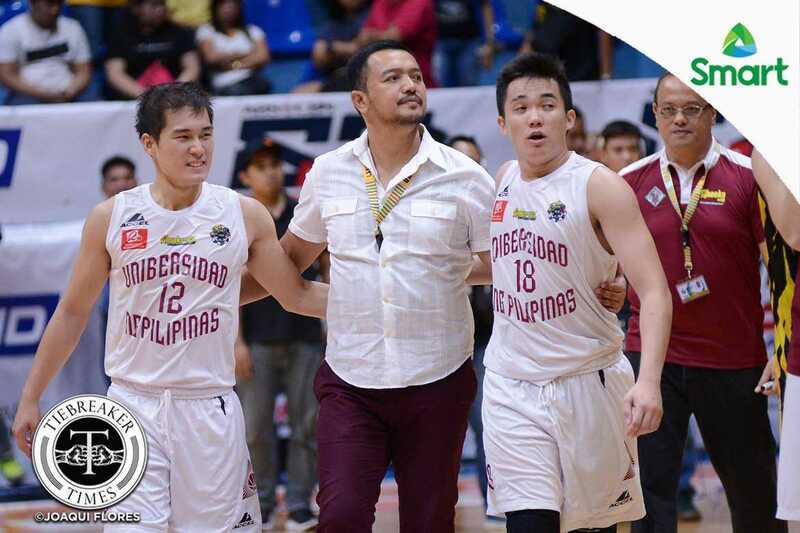 “Like i said, more than anything else, yung panalo and yung character building, yung achievement namin, ang pinakamagandang nangyari this season is the generating of excitement sa UP community,” said Perasol after UP had defeated the University of Santo Tomas for the first time since 2006. “But when you see them supporting you, nagbibigay ng ibang confidence sa players,” he added. And at the forefront of the resurgence is skipper Jett Manuel. 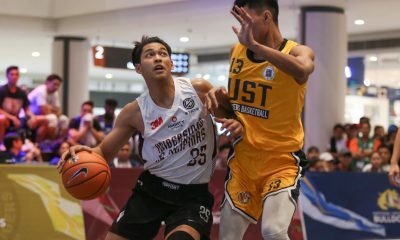 The King Maroon has helped UP slay almost every streak of futility the Fighting Maroons had, including a seven-year losing streak to Ateneo and a decade-long losing streak against UST. 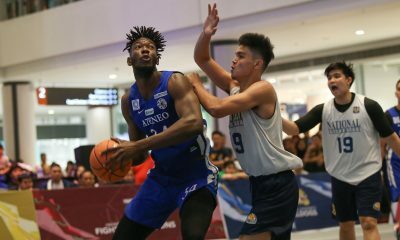 “I expected more people to watch especially because we won the last game, pero grabe yung support,” the 23-year-old wing quipped. “Halos kalahati, yeah, more than half, wow. For Kyles Lao, one of the protagonists in UP’s 74-69 win over UST, they needed to give back to their fans who have been with them through the good times and the bad. “It’s giving the fans the wins that they deserve. All throughout sa stay ko sa UP, ito talaga ang hinihintay ng mga fans,” said the 20-year-old guard, who finished the game with six points. 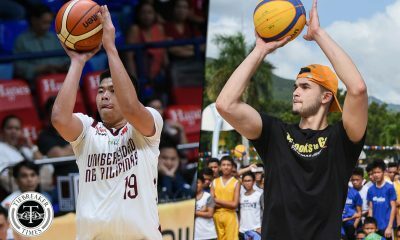 Though a possibility of a Final Four appearance this season looks slim, it’s a step in the right direction for the program according to Perasol. “Gusto namin na yung programa ng UP, mas magiging… an entity to be reckoned with. “Kasi dati parang di pinapansin eh. Ngayon at least yung program nagkakaroon na ng direksyon,” he said. With just one game to go in their Season 79 campaign, Perasol wants to give his seniors the proper send-off they deserve. “Iniisip namin, paano ba mage-end si Jett ng kanyang career sa UP, si Soy [Asilum], si Dave [Moralde]. 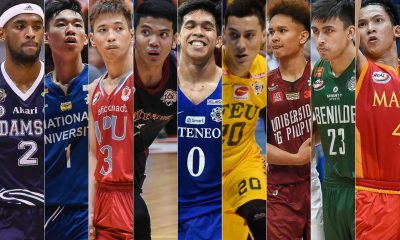 Sila yung mga starring dapat diyan eh. So mas mabuti siguro kung yung ending namin ay manalo kami in that particular game,” he closed. And for sure, the UP community will serenade them with cheers on that day.